In light of significant reductions in tariffs between ASEAN members and the steady harmonization of regulation through the ASEAN Economic Community, regionally oriented value chains have risen significantly in terms of profitability. For those considering investments of this nature, it’s important to understand not only the tariff reduction schedules that have been negotiated, but more importantly, the conditions under which exports and imports may benefit from reduced rates. Within the vast majority of trade agreements, rules of origin are included to prevent third parties from freeriding on the sacrifices made by those party to the agreements. These rules set out who may qualify for benefits of a given agreement and under which circumstances these parties may do so. 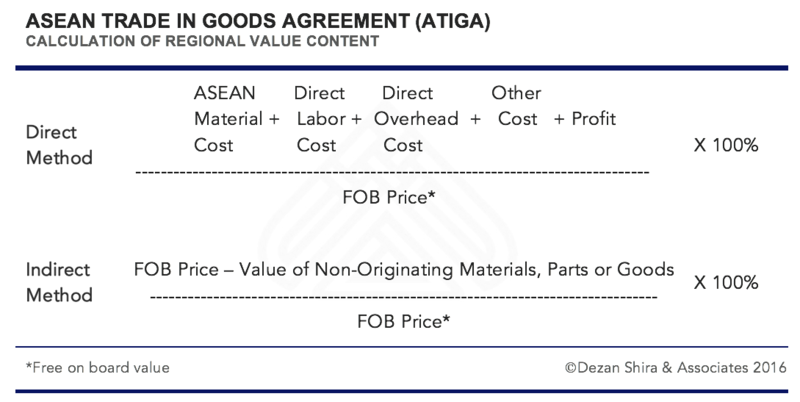 Currently, the ASEAN Trade in Goods Agreement (ATIGA) – ASEAN’s primary agreement concerning the reduction of regional tariffs – contains a set of criteria used to determine the country of origin of a good as well as guidelines to determine if specific goods are eligible to benefit from preferential tariff treatment. Under the ATIGA, goods classified as “originating” are qualified to receive the benefits of tariff reductions. The agreement indicates that a good imported into the territory of a Member State from another Member State shall be treated as an originating good if it is wholly obtained or in compliance with requirements set out for goods that are not wholly obtained. (i) if the goods have a regional value content of not less than 40% – determined using one of the two methods outlined in the infographic below. (ii) if all non-originating materials used in the production of the goods have undergone a change in tariff classification at four-digit level (HS header) – see introduction for more information. Within ATIGA, the concept of cumulation is applied to the agreement’s rules of origin. Generally speaking, this concept allows countries party to a trade agreement to share production and jointly comply with the relevant rules of origin provisions. For producers within ASEAN, this concept allows materials to be sourced from all ASEAN member states without forgoing tariff reductions. the value of all non-originating materials used in its production do not undergo the required change in tariff classification does not exceed 10% of the FOB value of the good, and the good meets all other applicable criteria for qualifying as an originating good. The value of non-originating materials shall be included in the value of non-originating materials for any applicable regional value content requirement for the good. With the AEC launched and harmonization of regional standards growing, the importance of regional supply chains cannot be overstated. Continued progress towards regional integration is likely to continue these trends, further reducing barriers to trade and decreasing the impact of regulatory compliance for firms throughout the region. 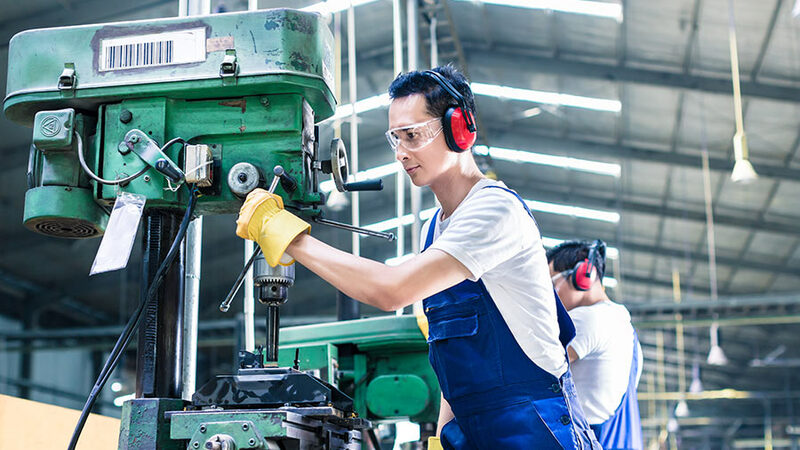 Although ASEAN’s prospects are bright, success will ultimately hinge on the ability of entrants to understand and leverage opportunities within agreements such as the ASEAN Trade in Goods Agreement. Employing qualified professionals with years of experience in market entry and corporate establishment, Dezan Shira & Associates is perfectly positioned to assist companies in their efforts to maximize operations and expand throughout the region. Editor’s Note: This article was first published on March 7, 2016 and is updated on October 2, 2018, as per latest developments.